GREAT TASTE LIVE-IT WAS PASTA NIGHT AT GBS! LISTEN AND IMAGINE. 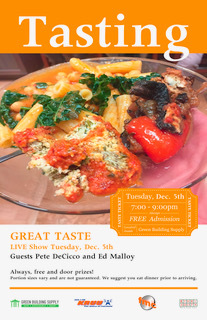 Tuesday night was the monthly LIVE GREAT TASTE show at Green Building Supply. Thinking back over the more than ten years the show has been on the air; it was the first time I have ever hosted and cooked for the entire 60 minutes. CLICK READ MORE! Kitcheree, Vegan Chili, Winter Farmer's Market, Microgreens, Hot Sauce-Busy Night at the LIVE Great Taste show for January! Start 2018 off right and take a listen to this week's GREAT TASTE. The LIVE show at Green Building Supply featured Dr. Dinesh Gyawali who made Ayurvedic kitcheree, and a detox tonic. Alura Anderson provided vegan chili. Steve McLaskey explained the significant differences between sprouts and microgreens, and Dan Gorman of Bubbling Brine Brothers lit up our mouths with his homemade probiotic hot sauces. Lots of tips for a healthy 2018 in this week's broadcast. Happy New Year and Healthy Eating! Thanks to Green Building Supply, Julie Stumo, Fairfield Media Center and Jason Strong, Everybody's Whole Foods, and all our listeners. Two months ago on a stunningly beautiful October day, my wife and I met Alan Tardi at Agriturismo Il Torriglione in La Morra, a small Piedmontese village in the Langhe. Il Torriglione sits atop one of the many distinctly rolling hills dotted with grapevines, where the dominant grape is Nebbiolo in this Barolo wine-producing zone. 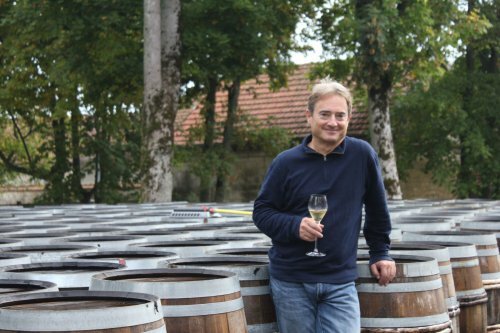 The Gagliasso family makes the only wines served at the agriturismo and winemaker Luca Gagliasso's mother and sister can be found in the kitchen or greeting hungry patrons on the weekend. Over a bottle of their Barolo, and through many courses featuring typical Piedmontese cuisine, four hours slipped away unnoticed as we talked of family, especially little girls, wine, and champagne. Our thanks to Alan for a fantastic afternoon that we will always treasure. GREAT TASTE ITALIAN FEST FROM GREEN BUILDING SUPPLY!!!!! FOOD AND FUN AT GREEN BUILDING SUPPLY! KRUU's Great Taste radio program was LIVE at Green Building Supply on Tuesday, December 5. Pete DeCicco and Ed Malloy prepared Italian holiday fare. The dishes were outstanding with bright, distinctive, and light-up-your-mouth flavors. Ed made the Malloy version of caponata and it was served in a unique style with a dollop of homemade tomato sauce over pasta. Pete created a root vegetable puree starring celery root, turnips, rutabaga, and parsnips with white wine, lemon, garlic, and a few other flourishes. Those folks who stayed around for the final flourish enjoyed cannoli with fresh ricotta and cream. Tune into Fairfield Media Center's video HERE. Scroll down to the LIVE EVENTS panel on the lower left of the homepage. Two terrific cookbooks share the spotlight on this week's show, and they are both integral parts of the culinary world's social conscience. First up is The Plant Collective, 50 plant-based holiday recipes curated by Fairfield's own Emily Rose Shaw. The ebook will be available beginning December 1, and proceeds will benefit The Edible Schoolyard Project established more than 20 years ago by the iconic chef Alice Waters. I am very excited as Emily has chosen KRUU and Great Taste as the spot to publicly unveil the cover of the book and discuss the details of the project. As soon as the URL for the book is live I'll add it to this post so you can order copies for holiday gifts. 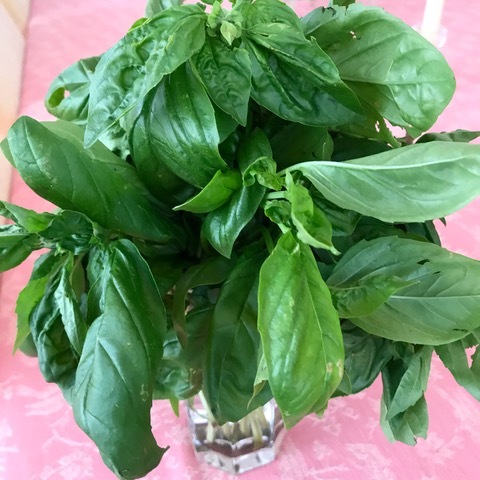 Nourished and Zingerman's Bakehouse on Great Taste this Week! 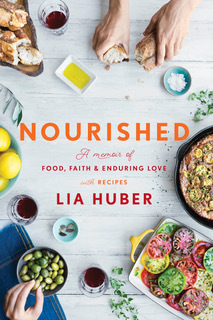 Lia Huber, the author of Nourished: A Memoir of Food, Faith and Enduring Love, is my guest on the opening segment of this week's show. Lia has a writing style that engaged me as a reader and I lost myself in the intimate way she shared her story. There are reicpes in the book, but her focus is the personal journey and how she discovered a practical way to eat well. You can check out her website The Nourish Evolution here. Talking with her was one of the highlights of doing the Great Taste show this year. MENU: VEGAN NO QUESO DIP, CHICKPEA TOFU, SALAD GREENS WITH VEGAN RANCH, LIVE FERMENTED PICKLES AND KRAUT, AND FIG DESSERTS! There was a lot going on at the GREAT TASTE LIVE show Tuesday, and it was all vegan. I love real maple syrup and maple sugar, and, what's crazy is most consumers, perhaps as high as 7 out of 10, have only tasted the artificial brands that are on every store shelf, and served in most "restaurants." As our guest and maple syrup maker Ethan West pointed out during our discussion, some manufacturers and eating spots mix a bit of real maple syrup into their corn syrup and artificially-flavored product. Buyer beware because they can say with a straight face that it contains "real" maple syrup. CLICK READ MORE!